Product Listing is a time consuming and tedious business but essential to have your products included in the search results of e-commerce websites like eBay, Amazon, Rakuten, Sears, Newegg etc. 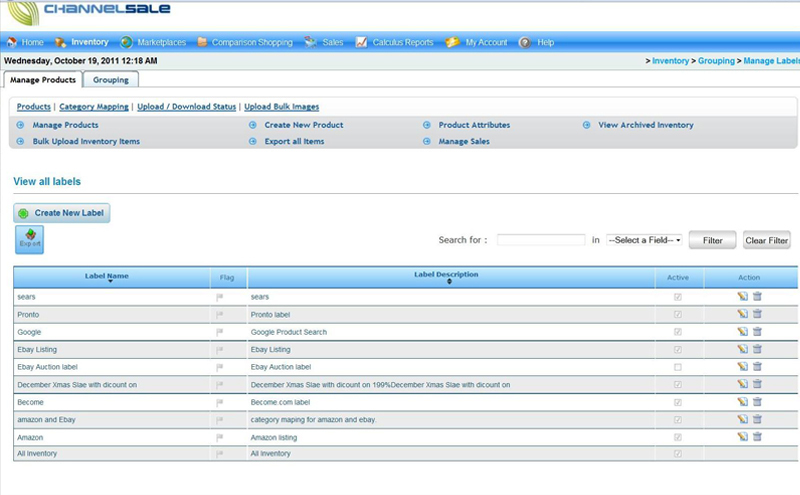 Now use Channel Sale's listing interface and get your listings to suit your strategic and tactical requirements. The process is easy to manage and it removes the tedium from the routine. Easy to use optimum method to bulk list products in an automated way across multiple online marketplaces and further enables centralized management and synchronization of the product data when new products are added, existing products are removed or modified. 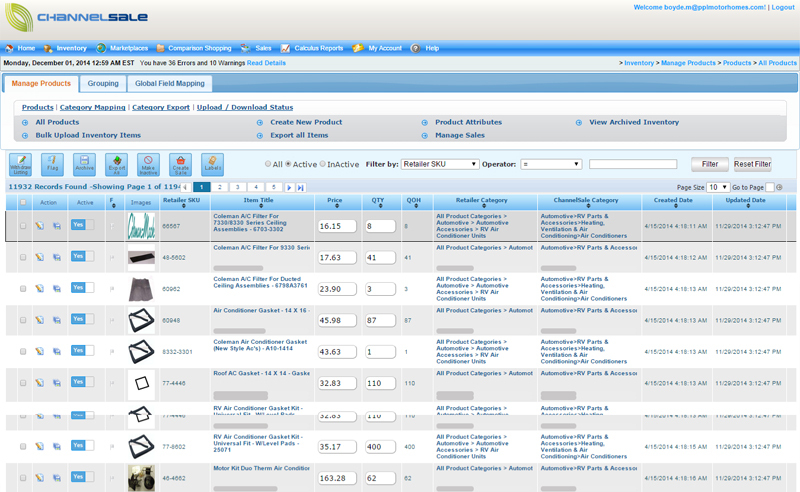 This is achieved through Channel Sale’s pre-configured integrations with the marketplace product data feeds. Our system automatically converts your product data into the marketplace specified product feed file format as per their category specific templates. Thus you can easily control the product listings on the various marketplaces through your one central product data feed file imported into Channel Sale via formats csv, txt, xls or xml. 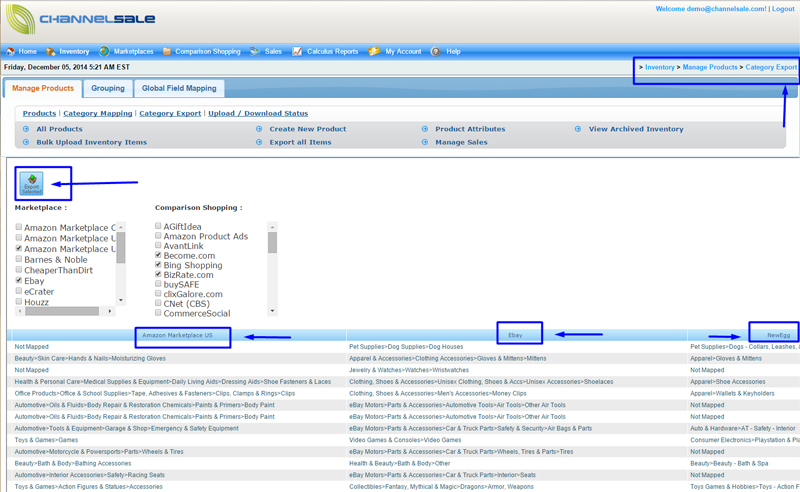 Managing inventory across multiple marketplaces where you can sell your products can be intimidating and time consuming. Channel Sale offers you a simple, intuitive interface that will enable you to manage your inventory across all marketplaces with a minimum amount of time and effort. As the sales orders arrive from the marketplaces into Channel Sale, our system will deduct the available quantity from internal column “Quantity on Hand” (QOH). This updated QOH gets simultaneously posted on all the marketplaces and thus enables product inventory synchronization across the multiple marketplaces while preventing over-selling and underselling. As the product quantity reaches zero, our system will automatically update as out of stock on all the marketplaces. As the product comes back in stock in your inventory file, then it will get automatically get re-listed everywhere. With Channel Sale you can define product variations such as size, model, color, variant etc. 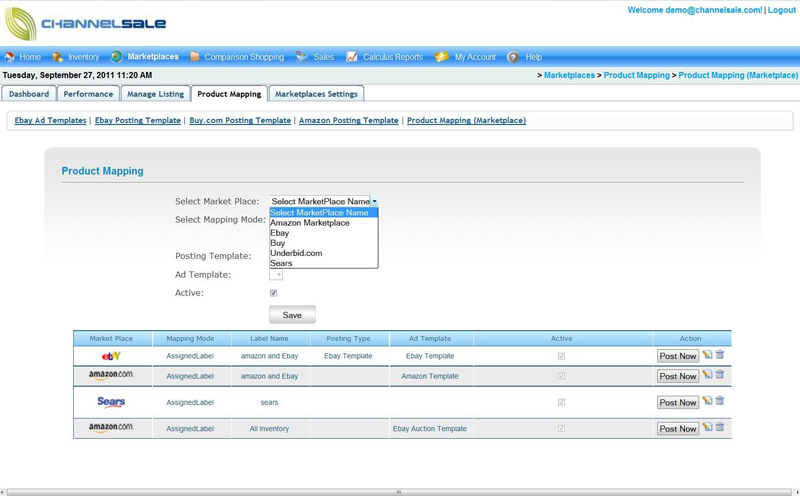 All marketplace required product attributes are supported in Channel Sale and these parent-child variations upon being listed on the marketplaces are displayed as product attribute dropdown selections to the buyers. Fully flexible means to control your inventory and accommodate the individual needs of different channels and your business. Easily control selective products to be sent to specific marketplaces. Optionally simultaneously hold Fulfilled By Amazon inventory and Fulfilled By Merchant. The FBA inventory can be setup to be sent to other marketplaces such as eBay, Rakuten, Newegg, Sears. Not having inventory puts a stop to possible sales – now you can share your inventory across different channels so that no matter which channel gives you a sale opportunity, you will always have the product to sell. Example, business rule can be setup to allocate 30% inventory to eBay, 20% to Sears etc. Real time inventory option can be activated. Our team of product category mappers carries out the task of mapping your product categories to the best match granular level category on the marketplaces. These mappings are then shared for your review and approval with all the available options. Following this process ensures your products get listed in the most appropriate categories and get search indexed by the marketplaces to show up accurately to the buyers. 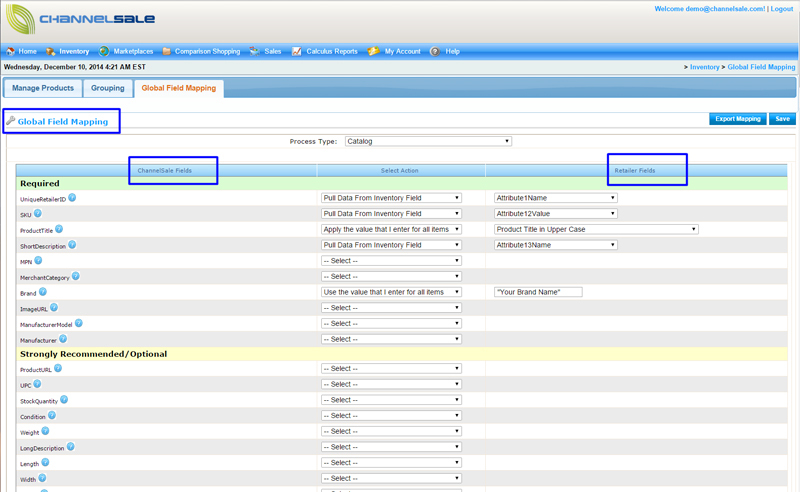 You can keep adding new columns/fields for any custom product attribute and our system will readily include the same. 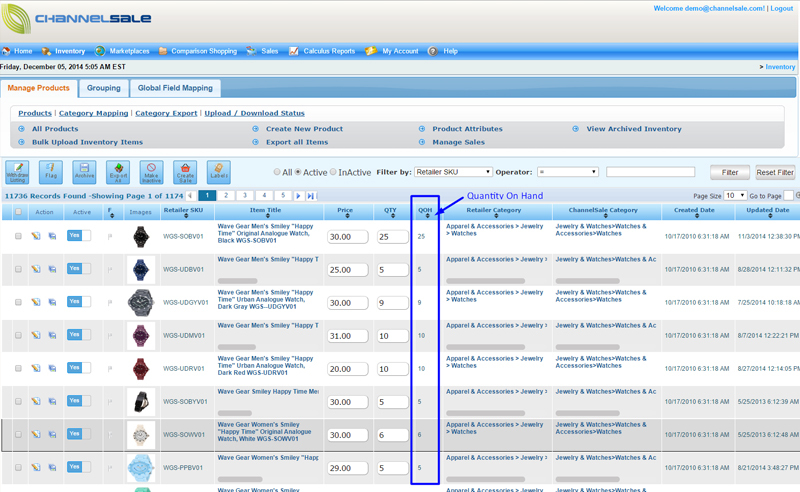 For example you can have additional columns for specific Product Titles / Descriptions / Price / Quantity for different marketplaces. This gives you the complete flexibility to expand your product data structure as and when required. Inventory can be controlled collectively for product kits, lot sizes or grouped items when they are sold individually or bundled as a kit. This is achieved by way of having a unique identifying parameter common to all related products such as Lot size number or Kit number while having unique SKU numbers for each product in that group.